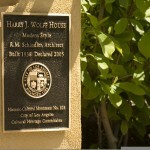 The Wolff House by R.M. 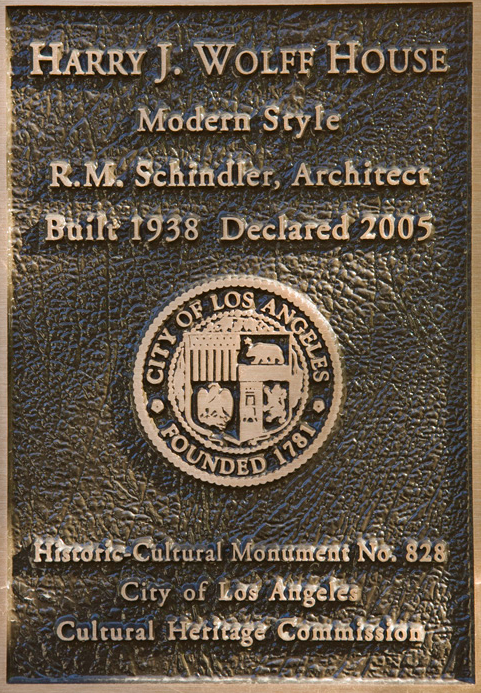 Schindler built in Sherman Oaks was commissioned before WWII by Harry J. Wolff. 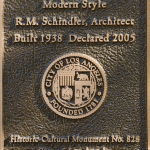 It’s an example of Schindler’s experimentation with “plaster skin houses” during the middle stage of his career and is a rectangular shape one story above the ground with a wooden frame and a plaster coating. 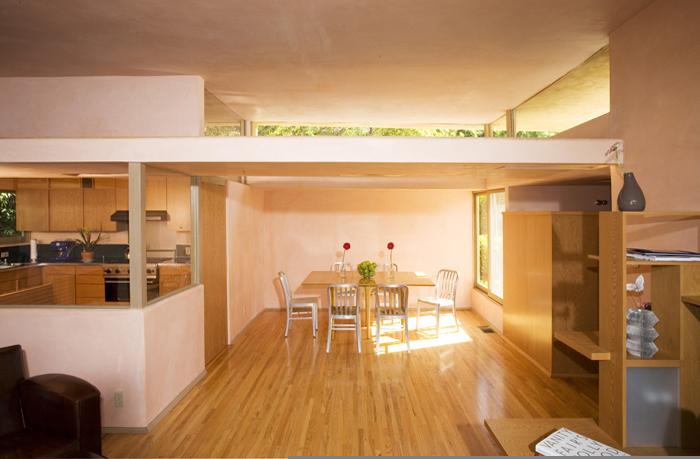 The roof has many elevations and overhangs each with its own set of clerestory windows, (many now open-able!). 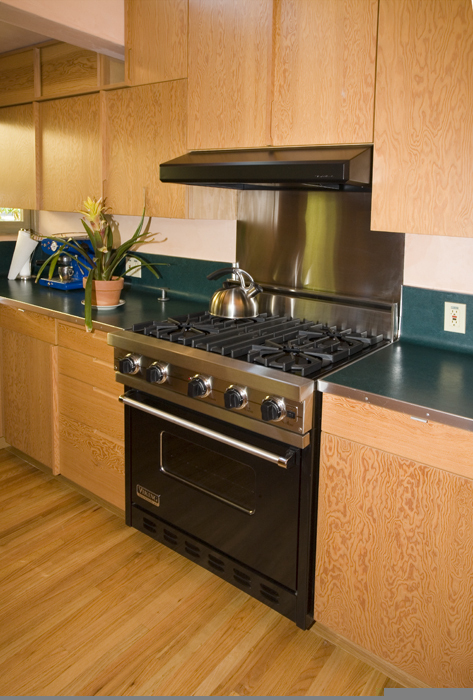 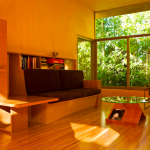 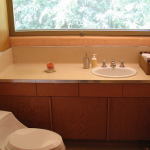 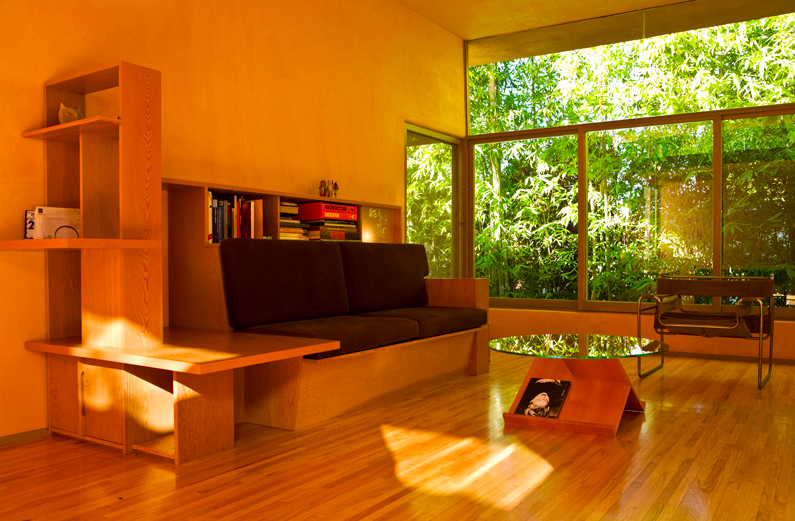 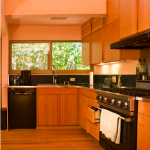 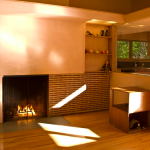 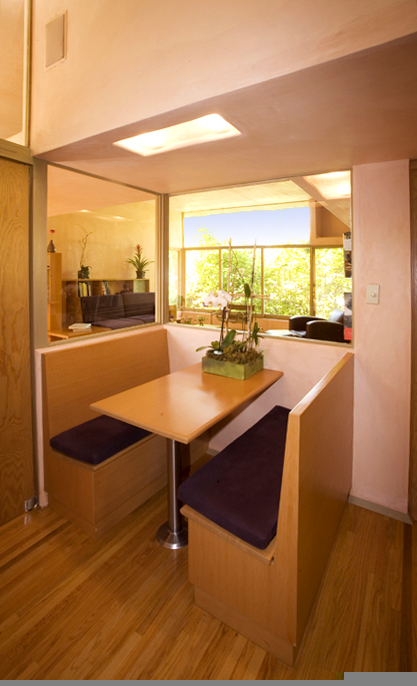 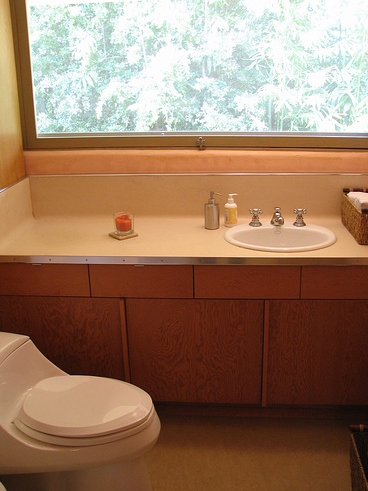 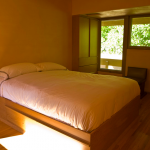 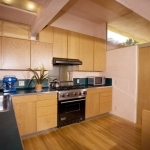 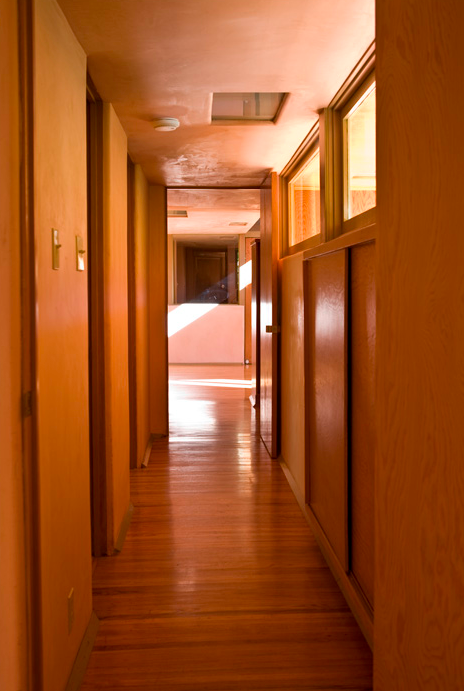 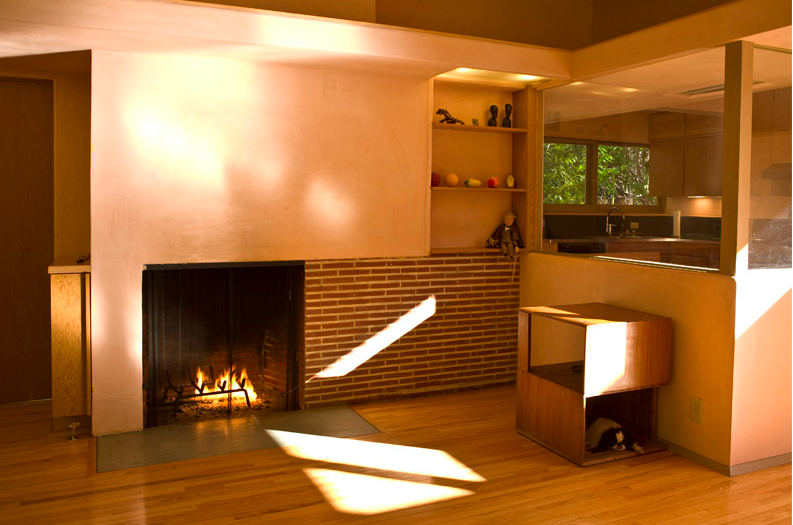 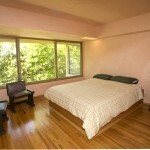 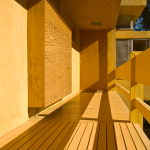 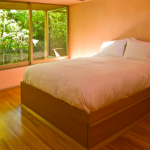 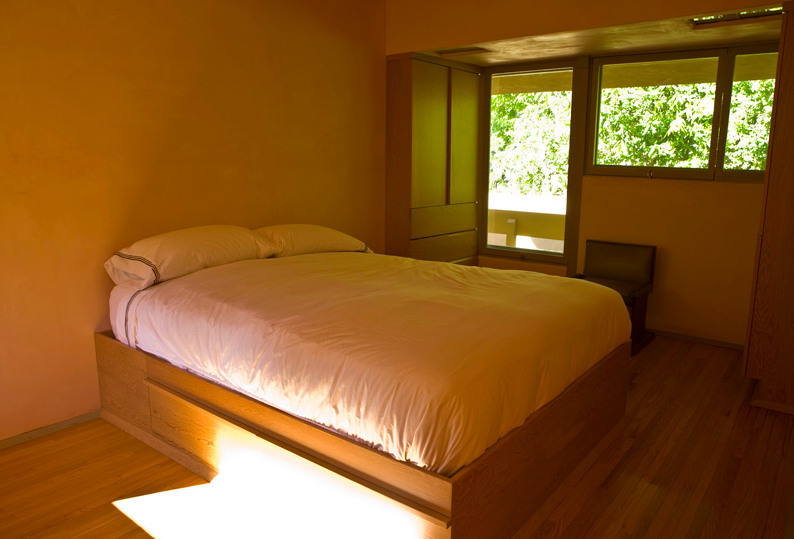 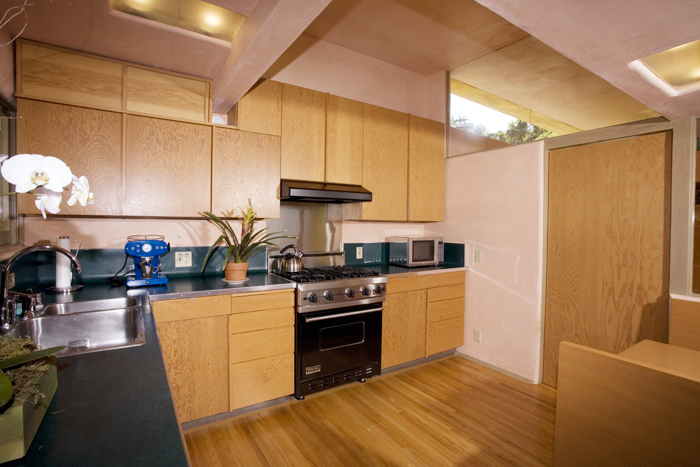 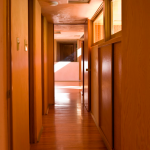 The interior of the house is predominately plaster, doug-fir plywood panels (with no footballs! 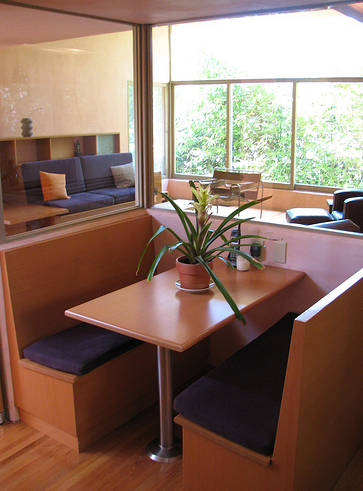 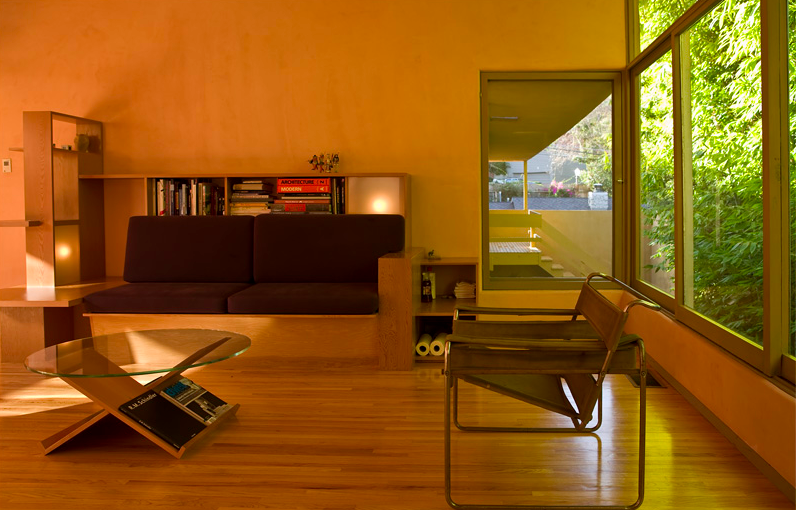 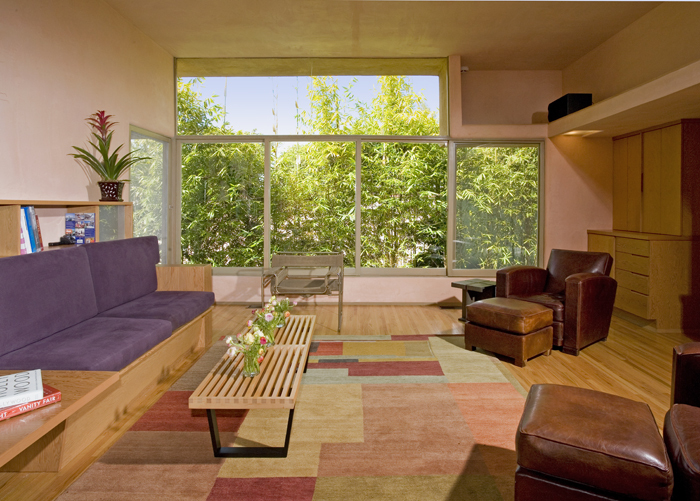 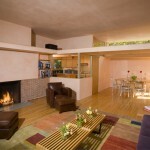 ), glass and an open wall scheme that keeps the house light and ventilated. 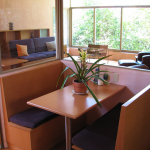 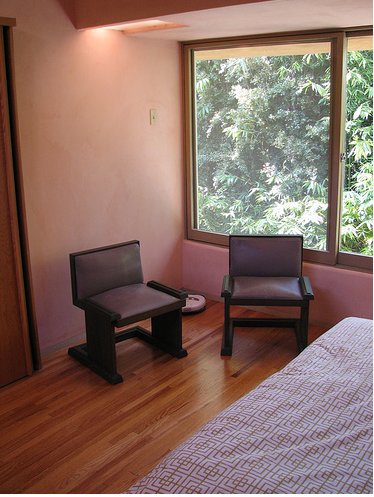 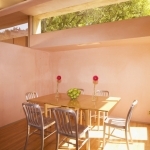 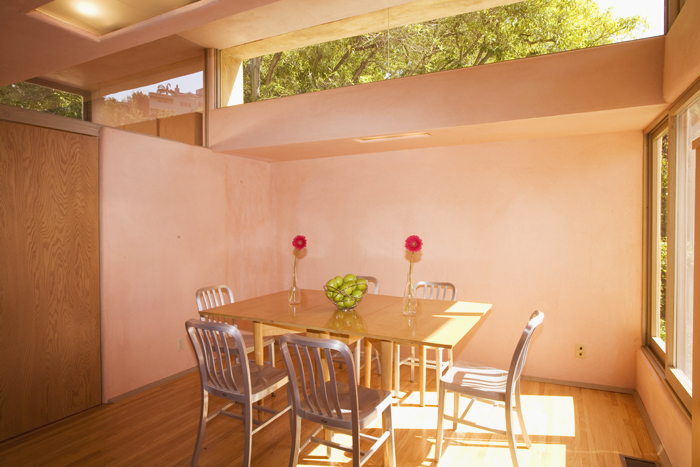 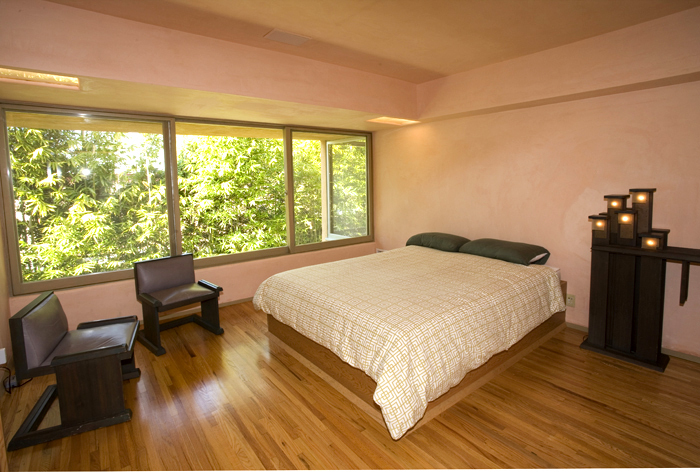 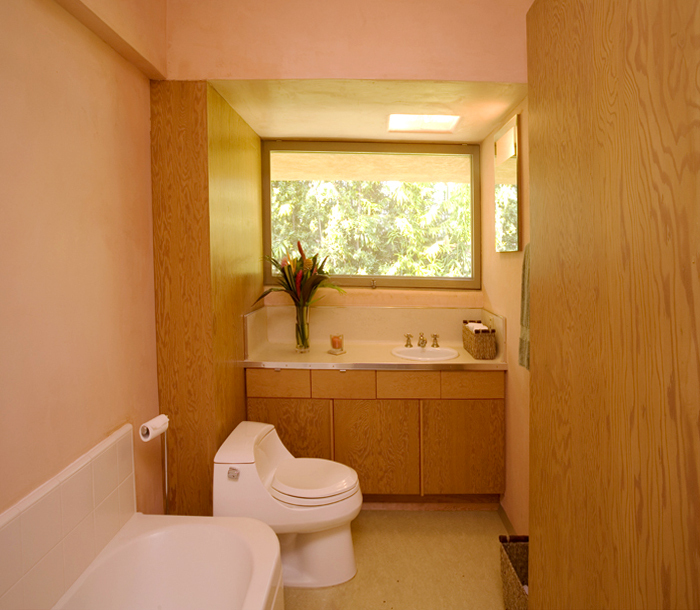 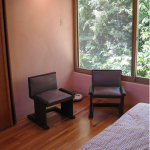 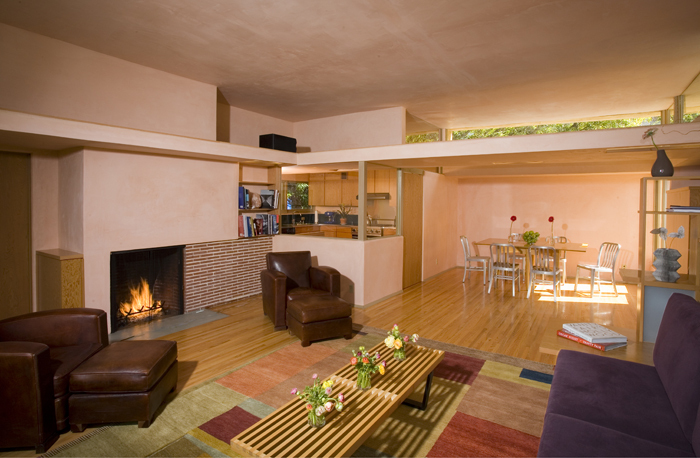 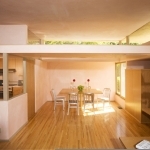 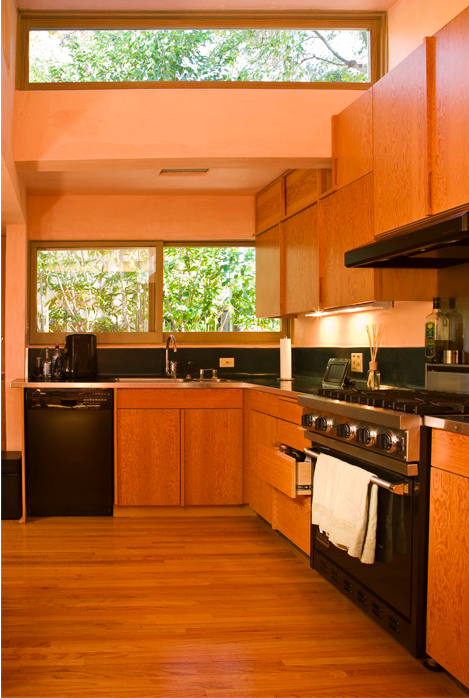 Using Schindler’s notes, blueprints and historical photographs, Michael’s restoration included removing a basement playroom to reveal the breezeway that had been hiding for many years, re-stuccoing the exterior of the house with a golden color exacting to Schindler’s specifications, reinstating the interior pink plaster and many plywood built-ins, updating the kitchen with new appliances and custom-made period appropriate cabinetry, landscaping the property with natives, and adding solar panels. 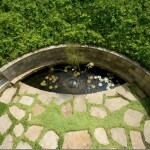 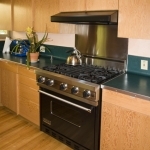 The residence was originally on three lots that included a badminton court and koi pond. 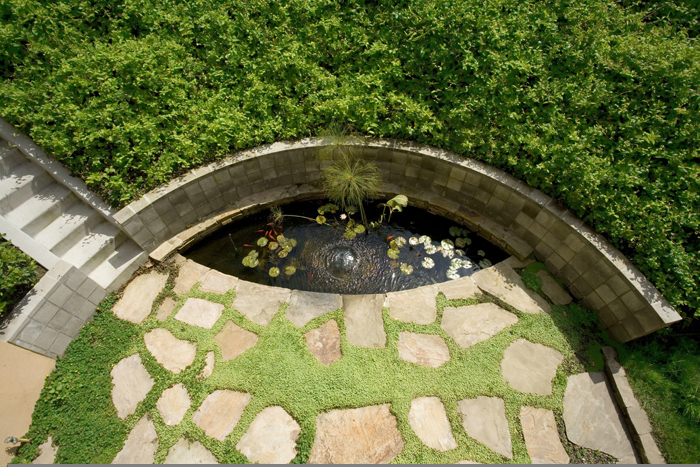 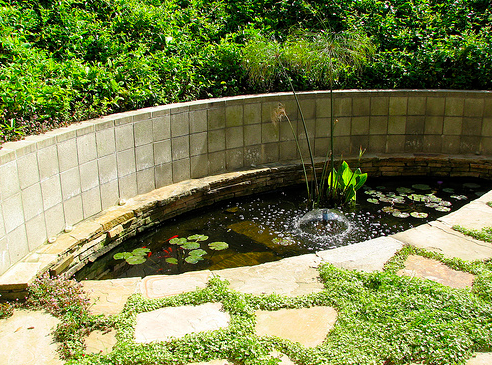 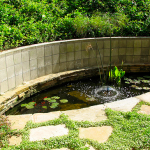 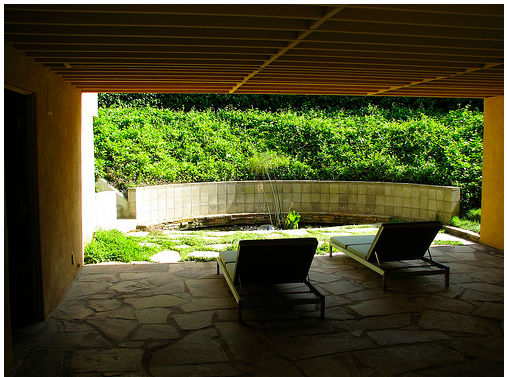 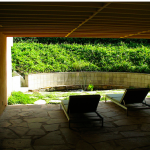 Unable to purchase the other two lots which now had homes on them, Michael drew from the past features in the garden and designed a geometric shaped koi pond connected to the reinstated breezeway. 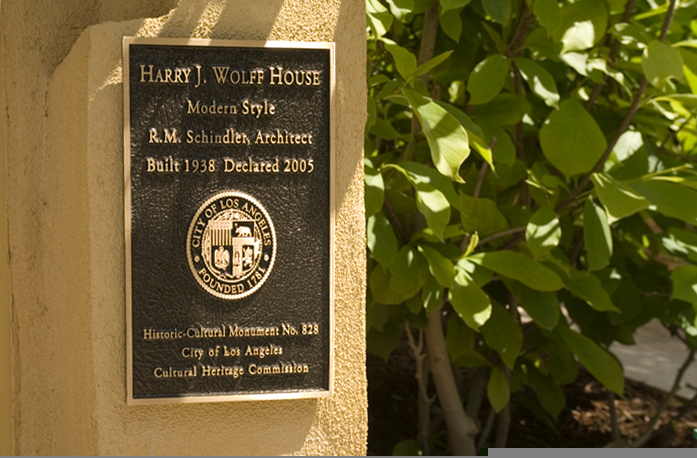 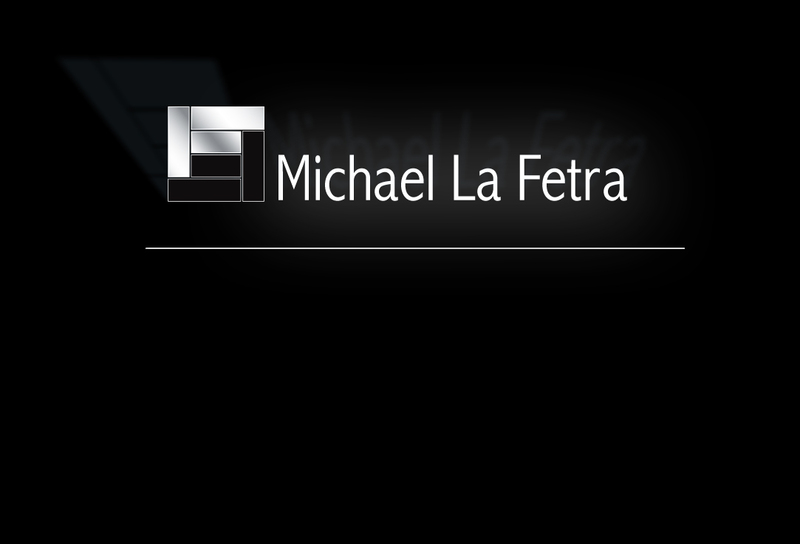 Michael registered the Wolff House under the Mills Act as a Historic-Cultural Monument. 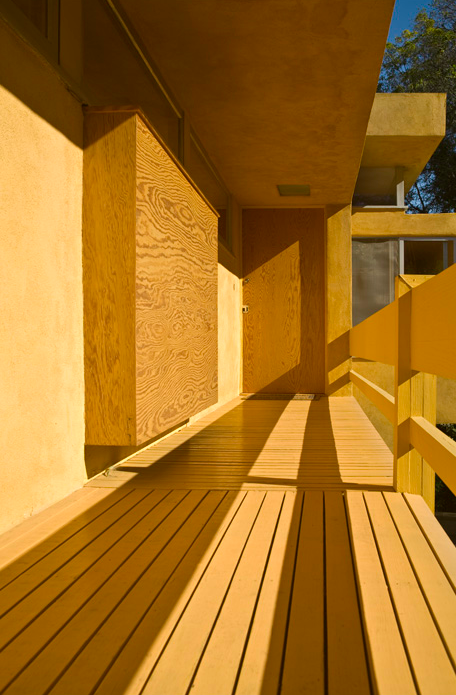 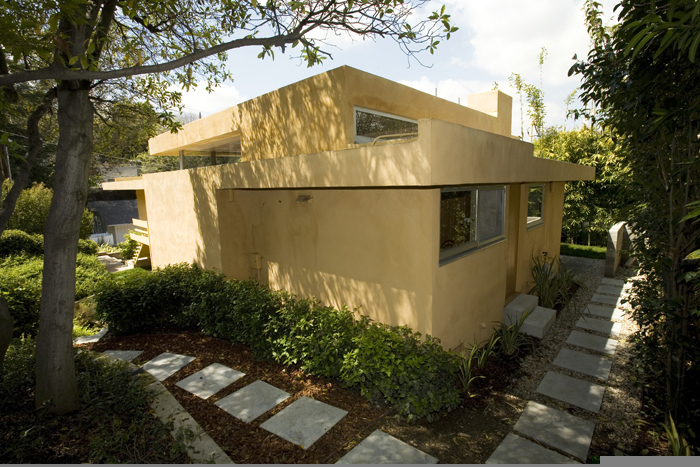 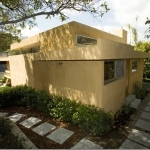 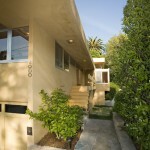 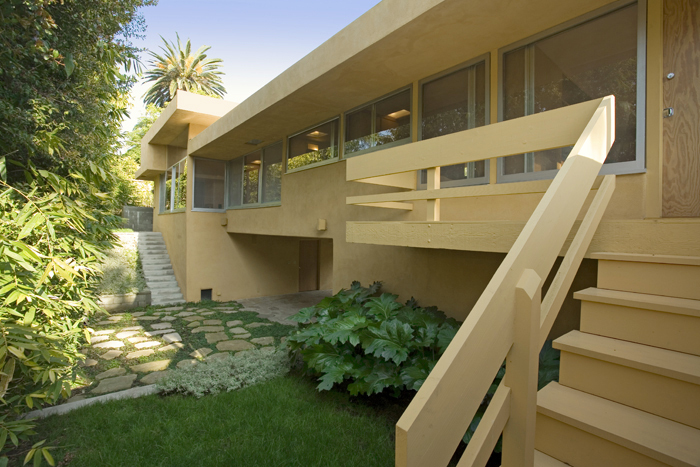 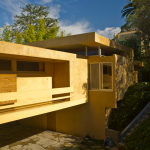 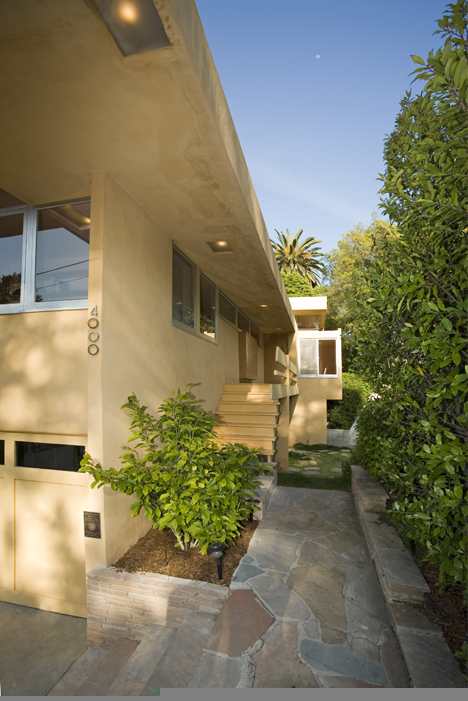 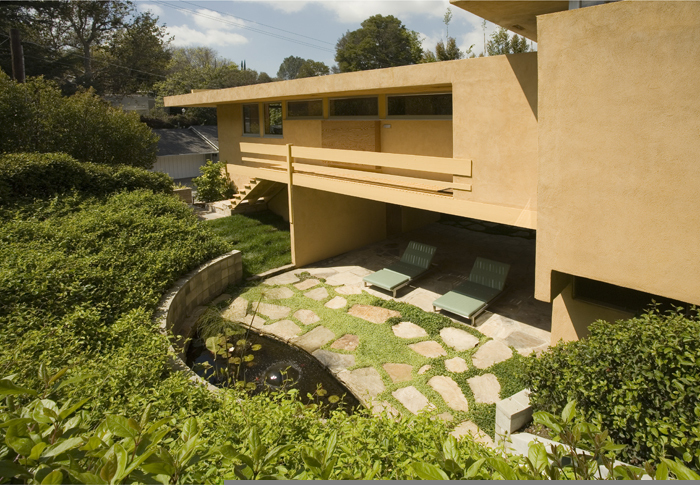 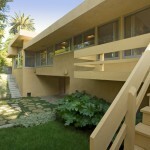 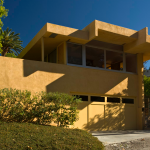 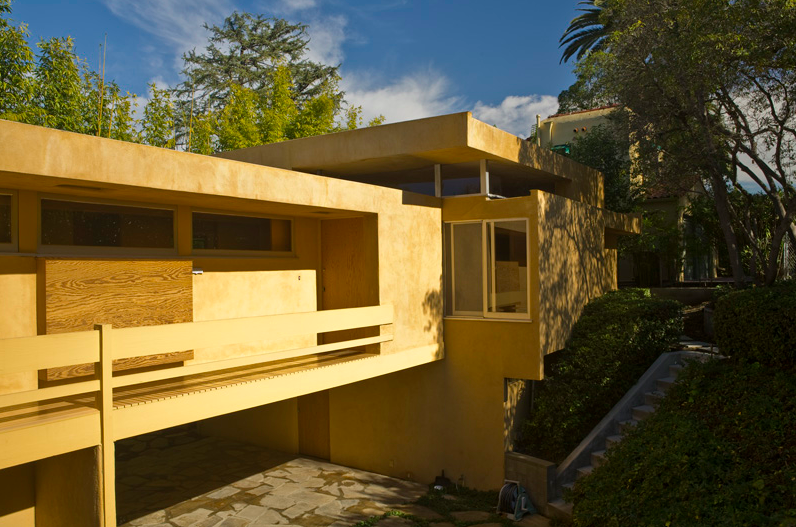 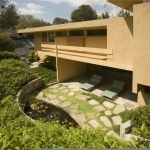 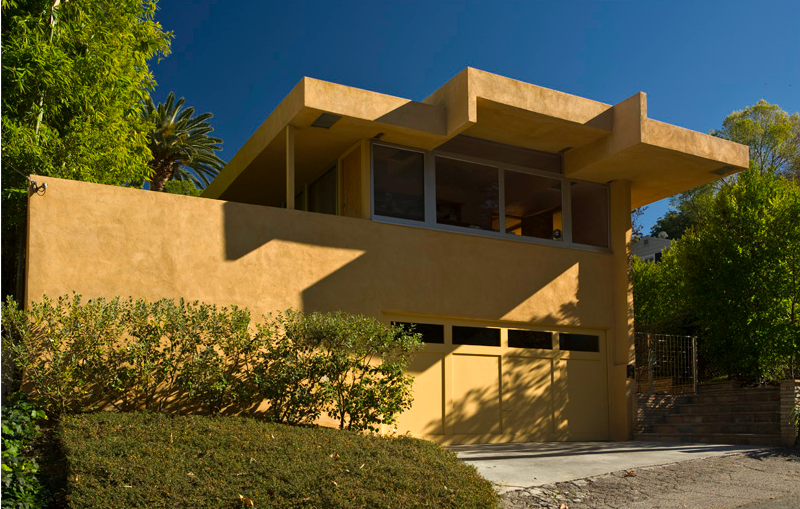 Anecdotally, when MWL approached Julius Shulman for any historical photographs Shulman replied “No such house exists”.